We're excited to announce our third concert "Bloom," featuring a 20 piece chamber ensemble, along with special guest composers Amon Tobin and Ryat. It will take place on March 12th, 2015 at Vibiana, a historic church in downtown Los Angeles. Please consider making an extra donation to The Echo Society. Your contribution will allow us to continue to present two shows per year while expanding in scope and vision. 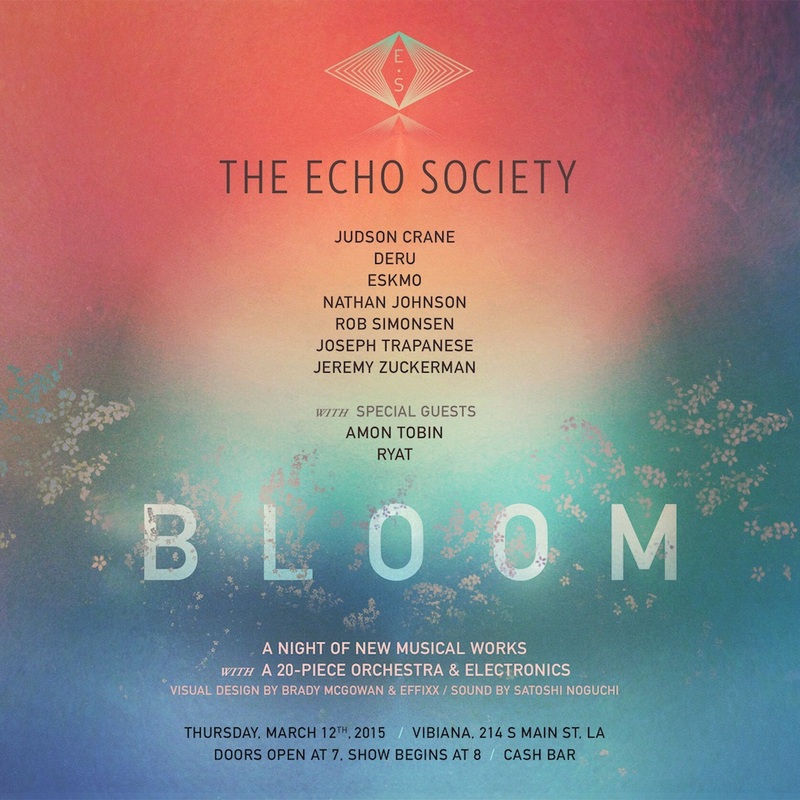 We feel that we have the opportunity to establish The Echo Society as a unique voice in Los Angeles by becoming an important counterpart to both the classical and underground live music scenes. We look forward to providing a platform for the new generation of artists in our local community and beyond. Your donations will be tax-deductible, as The Echo Society is fiscally sponsored by the non-profit organization Fractured Atlas. You will be presented with an optional donation field in the next screen.